First the no confidence motion proposed against the Ceann Comhairle Sean Barrett, the Taoiseach’s appointed “Chairman of the Dail”, following yet another expulsion of opposition TDs. I have watched the way the Dáil has been run in the life of this government and I tend to agree with the opposition that Mr Barrett has more often than not used his position to favour the government parties and stymie difficult questions. Only on Thursday night I recall him allowing Minister Kelly to continually shout down one of the technical group using up their few minutes of talking time, without so much as a warning or a ring of his little bell. However, it seems they will use Dáil rules to stop this happening. I think it is long overdue that we have a different way of appointing this role so it is not tainted by the belief that there is a government bias. Secondly and probably more importantly, you will notice Irish Water’s parent company Ervia has been allowed by the government to borrow 4 times what was originally allowed in the legislation. Now they can borrow €2 billion. Not because they are a more profitable company as our previous article on the loss making enterprise showed. Have the financial industry learned nothing? Have the government learned nothing? Are these financiers and these politicians all complete sociopaths? They just don’t care anymore do they. They will just steal from us again as bold as brass. They will rob your gold fillings and come back for your teeth, and they’ll wink at you as they pocket them. The government deregulated the banking system to create the bubble that would siphon off billions from the people to the financial elite. They blamed us for it. They said it will not be allowed to happen again. Yet, at the same time, on the other side of their two faces they are just doing it again. Planning to launder more of our money into the hands “investors”. These people are bona fide sociopaths and must be removed urgently before they cause catastrophic damage. This is a clear indicator that a criminal psychosis exists within the financial and political elite, and it is absolutely essential for the future of the Irish people that every member of this cabal is removed from any position of power if we are to leave a future for the next generation. 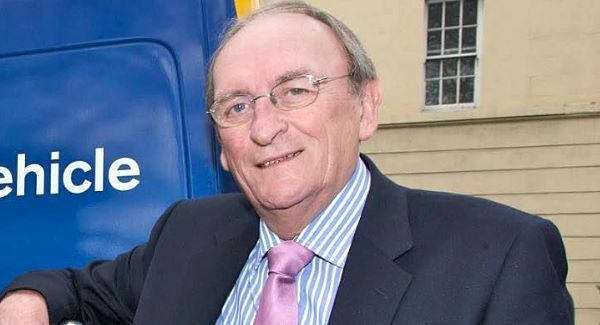 Ceann Comhairle Sean Barrett faces the prospect of a motion of no confidence in the Dáil after he was accused of stymieing efforts by TDs to scrutinise Irish Water legislation. Heated debate over the legislation for water charges kickstarted a row yesterday which resulted in Independent TD and former minister Róisín Shortall being expelled from the chamber. Angered opposition TDs last night said they were considering tabling a motion of no confidence in Mr Barrett next week, before the Dáil rises for Christmas. But the Oireachtas signalled that any attempt at such a motion may be disallowed under Dáil rules. Ms Shortall said she and other TDs had been trying unsuccessfully to get answers from Environment Minister Alan Kelly in the last two days on the financing of Irish Water, specifically the total cost of water grants for homes. Ms Shortall then accused the Ceann Comhairle of “shutting down” the debate, of “protecting the minister”, and “silencing” the Dáil. Mr Barrett then suspended Ms Shortall from the Dáil after she refused to withdraw her remarks or sit down. Speaking afterwards, she said: “We’re considering the best way to deal with this, because debate has got to the point of farce many times recently in the Dáil. She also said he had “not acted impartially” on important occasions. The Technical Group of Independents yesterday said they were considering a motion of no confidence next week. Any motion is likely to be backed by Sinn Féin. Party leader Gerry Adams recently said he had no confidence in Mr Barrett after a separate Dáil row. The Oireachtas said the role of Mr Barrett was to ensure members adhere to Dáil rules when making their contributions. A spokeswoman also said any motion of no confidence must be taken in private members’ time and with four days’ notice. This means the prospect of one taking place next week could be unlikely. Meanwhile, Ervia, the parent company of Irish Water, has signalled that its potential to borrow money has been strengthened after an agency upgraded its rating of the company. Standard & Poor’s said Ervia stated that there was a “high likelihood” now that the Government would provide “extraordinary support in the event of financial distress” for the company.